Ok, between checking out all the wonderful posts in Sharing Saturday and going to church, spending time with my family and now it is time to watch our home team the Patriots in the Super Bowl (though we will have the game on probably but won't watch too closely), my Sunday has flown by. Here is my short post for today. 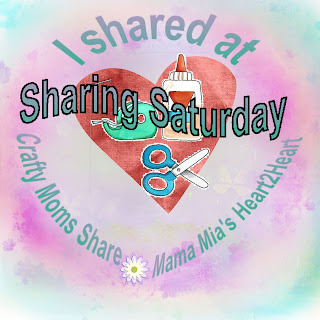 Sharing Saturday has over 110 amazing entries. Go check them out and it is still open if you would like to share. I am always thrilled to find new wonderful blogs to follow each week. Today I also found a new blog hop for Mom bloggers. It is over at The Grant Life. Go check it out and link up!! Ok, I'm off to go visit more of the posts and leave comments. Hope you will do the same.